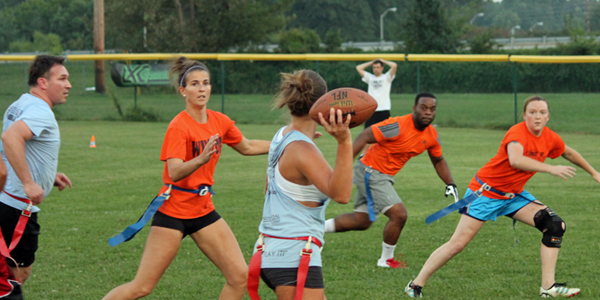 CLICK HERE TO SEE ALL UPCOMING FLAG FOOTBALL LEAGUES! Live in the 'Ville...Work in the 'Ville...PLAY IN THE 'VILLE! 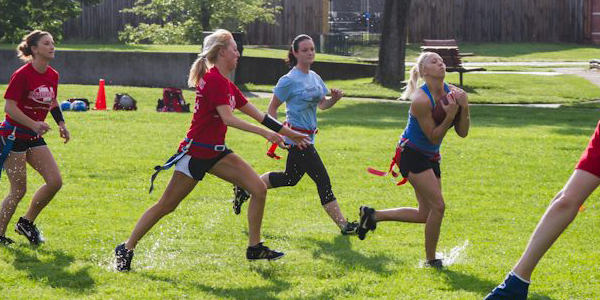 Ever wanted to catch a touchdown pass to win the game? 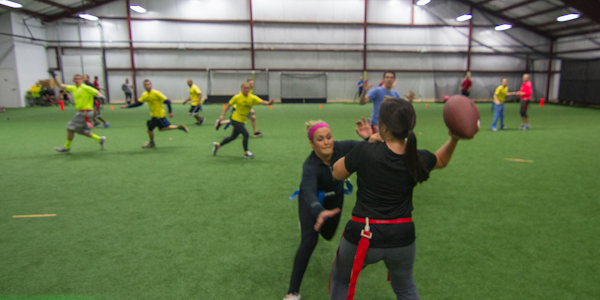 Now you can with LXC Louisville Flag Football! If you are looking for a great time and some good competition this is the league for you! Join other adult coeds and compete, socialize, and celebrate with friends old and new! Compete with teams like "Multiple Scoregasms", "Vick in a Box", and "You Can Only Hope to Contain Us"! What to do after the game? We have you covered! Join the rest of the football league at the Post Game Happy Hour for exclusive drink and food specials!